How many different internet tabs do you have open when you’re researching something you've never bought online before? We do this to find the best products at the best prices, and to see if the company we might buy from is reputable with a trustworthy-looking website. There are certain habits that we all fall victim to. This is a little off-piste, but when’s the last time you filtered products by most expensive first? Exactly. Now, as a marketer, think about it. Unless you’re a big brand that everyone knows, potential customers probably won’t have a clue about you and your products. Your CEO won’t be super-famous like Richard Branson or the late Steve Jobs either. That doesn’t mean that if your brand’s tab is open next to a household name’s tab, a potential customer will automatically choose the one they know over yours. Far from it. There are some content-related things you can do to make them choose you. It might seem daunting, but you can, with a well-thought-out marketing plan, mix in with the big boys and make your brand visible – and attractive – to new customers. The aim is for your tab to be left open, and the other well-known brands who also appeared in the search results that led to this messy deliberation, to be crossed off and never seen again. It’s time for little old you to shine. But to do that, you need a calculated content marketing strategy that makes you stand out, like a diamond in the rough. But let’s not jump the gun just yet. Forget conversions (or sales) for now, we need to go back to the start of the customer journey. Here we’ve mapped it out clearly and suggested content ideas for you to try, which will raise awareness and trust of your brand, hopefully increasing sales or achieving whatever your goals are. Making sure you're visible, but not pushing for sales just yet. One purpose of content marketing is raising awareness, which, when we’re exposed to roughly 5,000 advertisements each day, leaves you with a bit of a challenge. Forget billboard adverts for now – not every consumer is like Homer Simpson. Positioning yourself in the right publications (online or offline), and in front of the right audience, is the way to go. PR and Outreach – Press releases work if you’ve got a new product to launch, or if your company has reached a milestone and needs exposure. If you can, send your release around so that it is seen by the right people, such as journalists and PRs, who can amplify your message on the right channels. If you’re not a new brand or don’t have a new product, but you do have interesting expertise to share, approach the online magazines, newspapers and websites your audience reads, and propose to write guest articles for them. If you can get a backlink point from your guest article to your website, you’ve done well. That’s because in addition to generating positive exposure, backlinks are amongst the biggest things Google’s algorithm looks for when it wants to rank websites in search results. All of this will increase online visibility and consumer awareness, hopefully generating referral traffic to your website. Oh, and if you can get yourself on TV or create a crazy PR stunt, even better! Social media – Use social media to talk about what you’re doing, to speak to your customers, and to share content. Use the relevant channels at your disposal to speak to your audience in ways they understand. It pays to be social – It’s now more important than it’s ever been to pay for social media – it’s not all free anymore, especially if you want to maximise your reach. Targeting your posts via location, demographic, keywords and platform will help you reach the right people, and increasingly insightful analytics tools mean you can easily understand what's working and what’s not. Social media marketing is now ‘pay to play’ – but this doesn't mean your brand should ignore organic. Organic social is perfect for speaking directly to customers and having two-way conversations, while retweeting interesting articles and curating an informative feed will show you’re not just thinking about yourself. Preparing for your busiest periods. Content calendar – You’ll know which time of year your business makes the most money, whether it’s during the school summer holidays, at Christmas, in the new year, or whenever. With that in mind, plan your content around these times. Prepare yourself to be right there, in front of consumers when the calendar changes from June to July, or as December nears its end. Yearly events – Plan your online marketing around yearly events, whether it’s World Doughnut Day or more serious ‘awareness’ days, where you can tap into user interest and online searches. You need to be seen when it matters most. Long-tail keywords – Think about the long-tail keyword queries of potential customers: if you know what you’re doing, you can use this way of reaching customers. 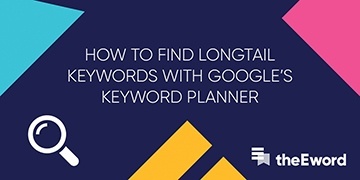 Long-tail keywords are three- or four-word search phrases, or longer, that are very specific. They are best for targeting somebody who knows exactly what they are searching online for. If you target long-tail search queries properly within your content, you’ll appear for user search queries and, importantly, you’ll be one of the tabs they’ve got open during the search process. For example: blogs that answer user questions are great for this. If you arrived at this page via organic Google search and you’re still reading, it’s likely it matched your search query and is relevant to what you wanted. Search Engine Optimisation – We had to mention it because it’s still vital. Even after shapeshifting Google algorithms, which has left us with its current guise, Hummingbird and its love for high-quality content, there are still some older principles relevant today: things such as keywords in the first and last paragraphs, strong and well-written metadata (as mentioned above) and inbound links, are what Google looks for when ranking a website in Search Engine Results Pages (SERPs). Mobile optimisation – We know that 60 per cent of one of our client’s entrance traffic comes from mobile users, so it’s important that you understand how you gain most of your traffic and then optimise accordingly. Those tabs that we spoke about at the very start of this blog post might be someone searching while on the train or bus to work, so you need to be discoverable – not just on desktop, but on various devices. It is 2016 after all. 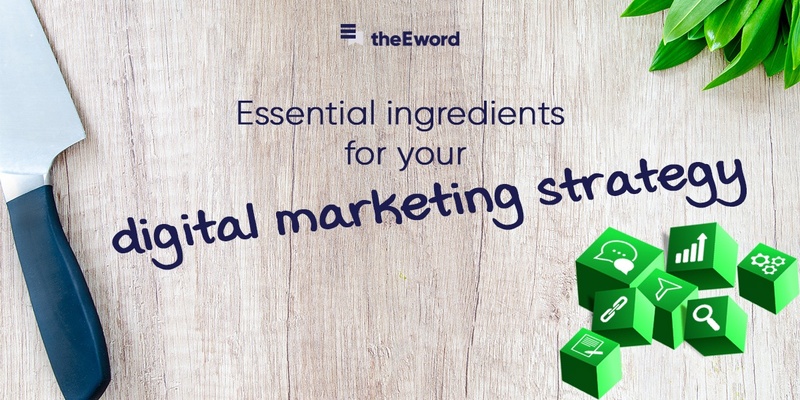 At theEword we like to look at it as: more relevant traffic = more conversions. Good written content won’t solve all your problems, there’s more to it than nice-sounding words – your digital marketing efforts should be integrated towards one goal and your campaign should be more than the sum of its part. Be helpful and repurpose content too. It’s not about the destination, it’s about the journey. Where have you heard that before? This is true in digital marketing. You won’t kick it with the bigger brands if you don’t put the graft in to be there for customers when they’re in the midst of the discovery phase, let alone generate repeat custom. What good is a one-time buyer when you could make sure customers come back for more? Even if you don’t have capacity to write new posts, there are still things you can do. Repurpose your content – The graph above illustrates my point. This well-received blog post did very well with users soon after it was published and shared on Twitter, Facebook and LinkedIn. Two days make up for most of the traffic it has received. So you can see how repurposing and resharing can have a positive effect further down the line, especially when you’ve put hard work into writing something interesting that you don’t want to get lost in the depths of your blog. 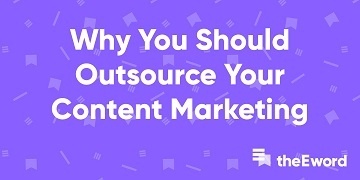 There are other types of content you should be using too. Be helpful and provide customers with how-to guides that explain how to operate or get the most out of your product. The customer journey doesn’t end on purchase; that’s when it’s time to cement an ongoing relationship with them. We spoke about customer reviews before, which we all look at to help us make our buying decision. Think about this and use your content strategy to get customers to write their own glowing words about your brand. There are numerous ways to do this, but user-generated content is quick and easy to get and purpose. Creating ‘good’ content isn’t enough. You need to explore all different varieties of it, many of which we’ve listed here. You need to use the tactics outlined above to get what you’ve created seen by the right people at the right time. Digital marketing is all-encompassing and it’s more than just a website and some blogs. Be creative and – most of all – figure out what works best for your brand.